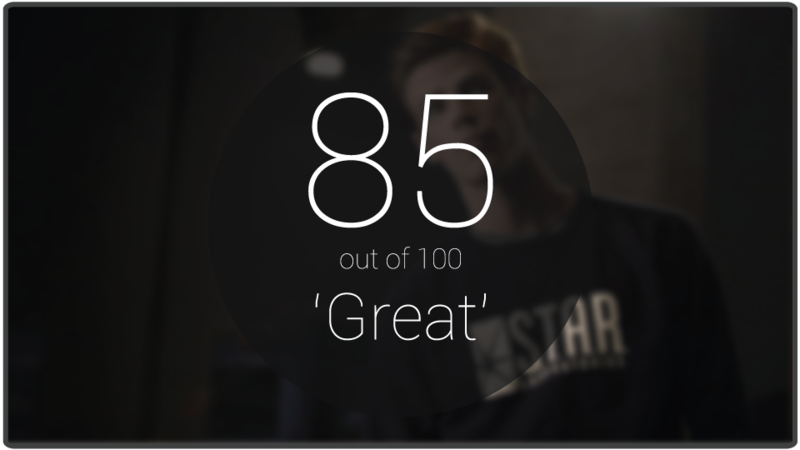 It’s no secret that the debut of The Flash went over well, scoring high marks from critics (including YouNerded) and surpassing The Vampire Diaries as The CW’s biggest launch. But the question of every second episode is whether or not the momentum of the pilot can be maintained as the series settles into its week-to-week groove. In the case of The Flash, the answer is a definitive yes. Taking place shortly after the pilot ended, Barry has been running around doing the usual superhero stuff: stopping muggers, rescuing people from burning buildings, etc. But the catch, of course, is that he’s not really supposed to be. Barry is quickly scolded by Caitlin at STAR Labs and Joe West at the Police Station for running around risking his life. The “can does not equal should” dilemma is at the heart of this episode, and adds an interesting philosophical backdrop to the proceedings. Barry keeps sneaking away to get his hero on despite warnings and ends up having headaches until he collapses. These scenes continued to build out this version of Flash nicely, delivering new bits of how his powers operate and showcasing his support staff. Of course, Barry is thrust back into the field with the arrival of Danton Black, aka Multiplex. Able to clone himself at will, Multiplex is on a rampage to get revenge on Martin Stagg, another DC Comics character. Multiplex’s body-duplication power fared a lot better on screen than Weather Wizard’s, offering some great action and decent visuals. Speaking of visuals, Flash’s costume seems to have gotten an update as well, looking a lot less baggy and sporting yellow lines reminiscent of his New 52 look. Where the episode really shined however, was in the way it used the question of whether Barry should be The Flash to examine the relationship between him and his adoptive father, Joe West. While some of the childhood flashbacks felt a little cheesy (“You’re not my father!”), Joe’s confrontations with Barry were the highlight of the episode, showing how much he cares for him. Although I hope the heavy use of flashbacks doesn’t signify that they’ll be integrated into the show a la Arrow, considering Kid Barry probably doesn’t have as many interesting stories to tell as a shipwrecked Oliver Queen. The resolution was nice to see, as Joe allowed Barry to make his own mistakes and Team Flash finally rallied together to take down Multiplex. The final battle between the two was fairly impressive, with Multiplex’s horde fighting Barry in a showdown reminiscent of something out of The Matrix. Multiplex himself suffered from the same lack of development Weather Wizard had, but his quest for vengeance on Martin Stagg did give his narrative firmer ground to stand on. Considering both Multiplex and Martin Stagg are usually associated with Ronnie Raymond/Firestorm (who happens to be Caitlin’s missing fiance), it’s clear The Flash’s plan for the character is bigger than just a cameo. It’s also worth noting Harrison Wells continued to be an interesting presence this week, as he pushed Barry to be the best hero he can be. “Fastest Man Alive” did some great work continuing the pilot’s bright tone. It’s great that the show is essentially doubling down on DC material by referencing Ronnie Raymond and introducing Flash’s iconic Cosmic treadmill. While the worldbuilding is welcome, one nitpick is the fact that it appears we’ll have to deal with the public calling Flash “The Streak” for the time being. (At least Harrison knows what his name is.) “The Hood” got real old real fast on Arrow, so let’s hope the show moves past this seemingly obligatory stage quickly. It’s also a shame that Stagg met his end so soon after being introduced, but the show seems to heading in the right direction in positioning Harrison Wells as this season’s big bad. It’s clear now that Wells has knowledge of the future, but whether he’ll be suiting up as the time traveling Reverse-Flash remains to be seen. Overall, this was a pretty strong second outing for The Flash. The question of whether Barry should make the leap from normal guy to vigilante made for some great material, and Barry’s battle with Joe added a good bit of heart to it all. Multiplex was a bit undercooked like Weather Wizard before him but provided some great action and nice context to the themes at the episode’s heart. Barry’s path to heroism continues to be an interesting one, straddling the line between classic lore and modern updates. At a time where most shows are struggling to find their voice, The Flash is moving ahead knowing exactly what it wants it to be. What did we all think of Multiplex? 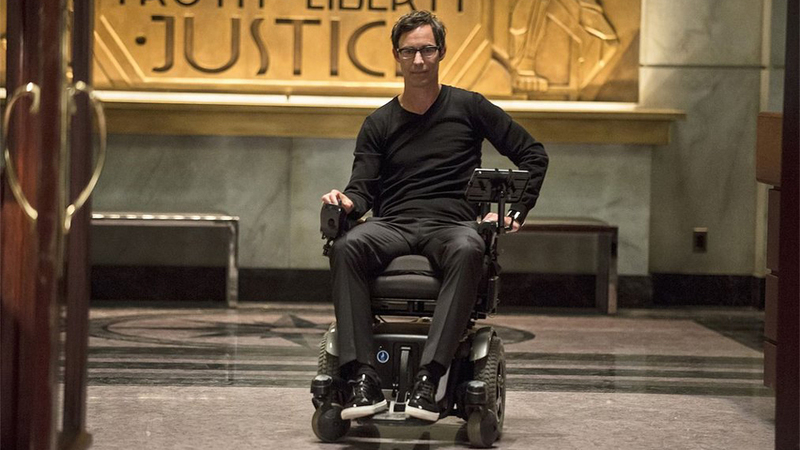 Is Harrison Wells a shoe-in for Reverse-Flash? Use the speed force to leave your comments below.